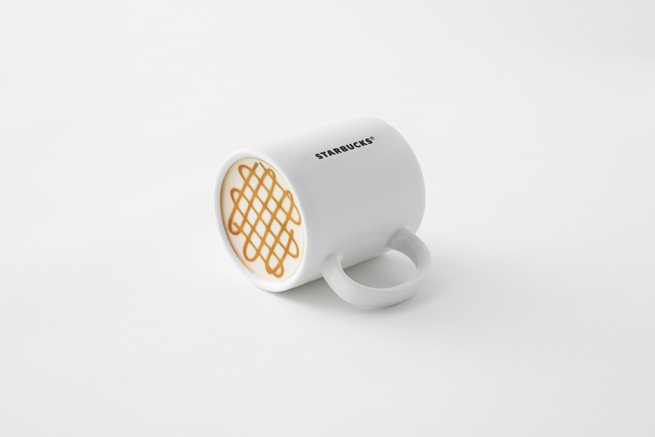 We took Starbucks’ classic white coffee mug and added a graphic to the base that looks like the surface of a coffee drink, so that when the mug is drying or being stored upside down, it looks as though it’s actually full. 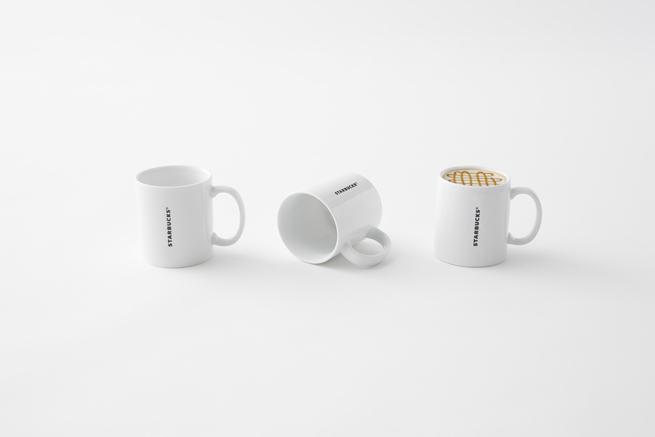 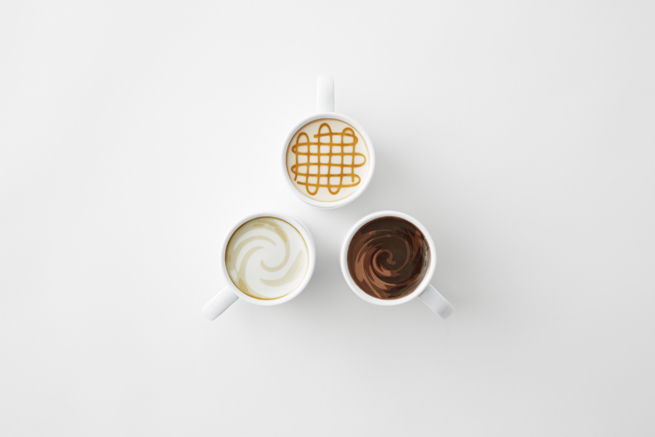 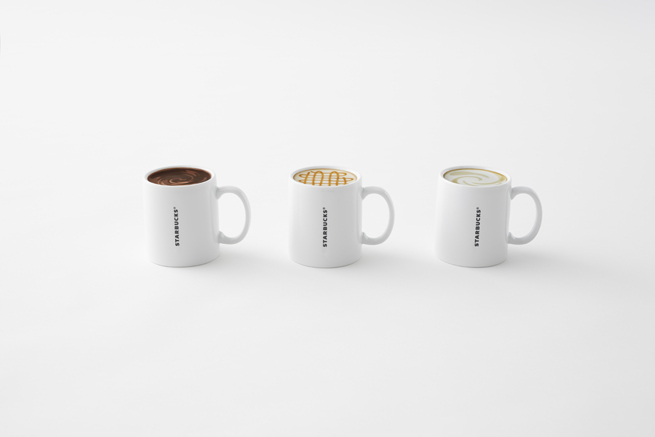 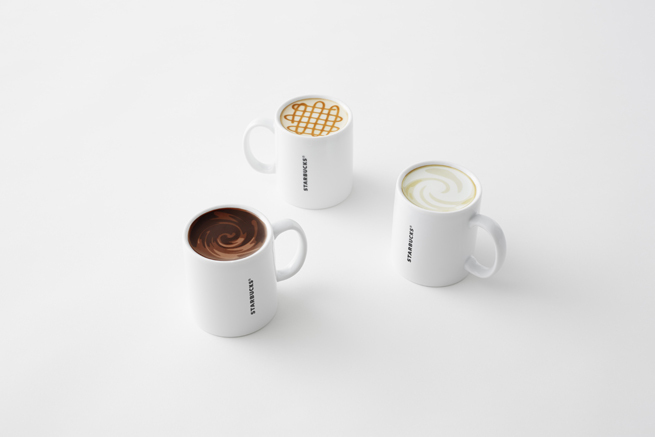 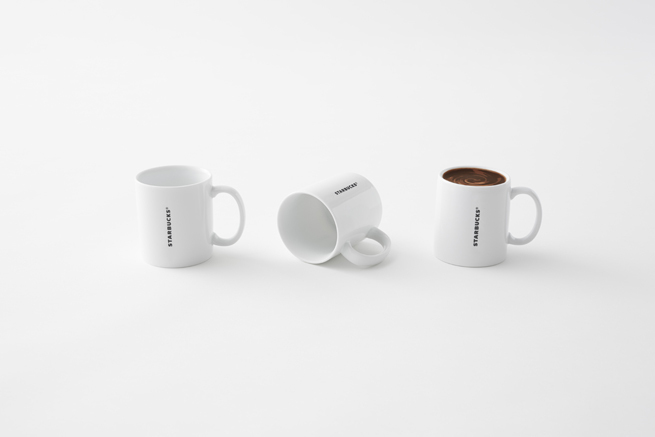 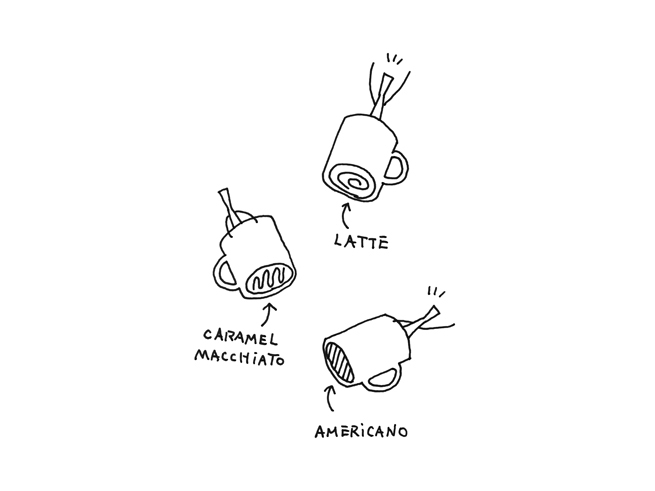 The mug comes in three varieties – Americano, latte and caramel macchiato – and will be released in Starbucks throughout Japan. A design that represents Starbucks’ worldview : of feeling fulfilled, and seeing the world as half-full, never half-empty.